Feminine hygiene has just become safer and more transparent, thanks to Lola, a sustainable and safe tampon manufacturer. After hearing the toxic shock horror story of model Lauren Wasser, who lost her leg allegedly from contracting TSS from a Kotex tampon, the chemical contents of feminine hygiene products have become a very real concern. 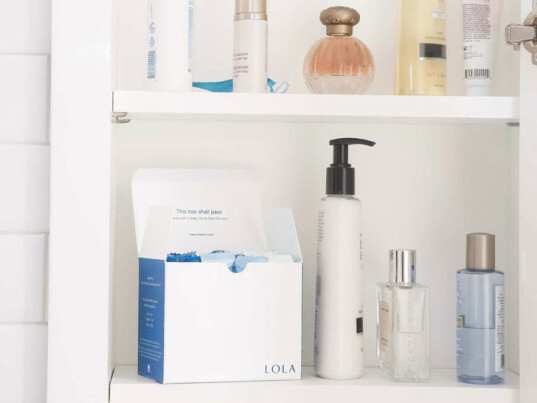 Unlike big name tampon manufacturers, Lola discloses all of their products’ ingredients, ensuring safety for their customers. Tampon users across the country entrust their health to feminine care manufacturers. Although the FDA does regulate feminine care, they do not require companies to list the exact content of bevy of ingredients in their products. This could include synthetic fibers and chemicals, which could be contained at unregulated levels in each tampon you buy. Products that the general public assumes to be 100 percent cotton are often only a small fraction of that, containing mostly inexpensive—and synthetic—rayon. Lola’s products are simple. Rather than being made from synthetics like rayon and polyester, each tampon is made from 100 percent natural cotton. Each is biodegradable, and completely free of chemicals, synthetics and dyes, which keeps bodies safe and contaminant-free. Lola also completes their better-than-your-average-tampon M.O. with a convenient delivery service, which brings its products to your home when you need them, at whatever frequency you choose. The startup hopes to ensure women’s health, while also providing a sustainable alternative to big-brand tampons. Feminine hygiene has just become safer and more transparent, thanks to Lola, a sustainable and safe tampon manufacturer. After hearing the toxic shock horror story of model Lauren Wasser, who lost her leg allegedly from contracting TSS from a Kotex tampon, the chemical contents of feminine hygiene products have become a very real concern. Unlike big name tampon manufacturers, Lola discloses all of their products� ingredients, ensuring safety for their customers.